WoW. We are experiencing a heat wave, the temp has been in the 90’s which is unexpected this time of year. I personally don’t mind but would be happier if I didn’t have to go to work in this heat. Yesterday when I got home I immediately changed into shorts and a tank and reached for my Chantecaille Rosewater. This spray feels amazing on warm days and instantly refreshes. I discovered this when I was getting married and searching for products to keep my face looking fresh for 8+ hours. This spray not only has a lovely delicate rose smell but is hydrating and truly makes your skin glow. It can be used as a toner or simply as a revitalizing spray, either way, win win! 30 Apr	This entry was published on April 30, 2014 at 8:00 am. 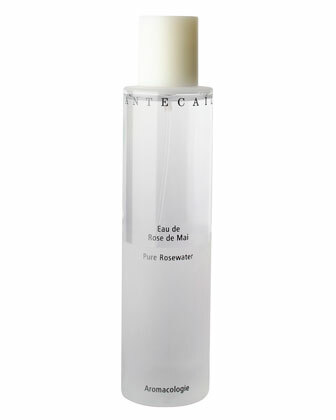 It’s filed under Beauty and tagged Chantecaille Rosewater, Hydrating Face Spray, The Best Rosewater Face Spray. Bookmark the permalink. Follow any comments here with the RSS feed for this post.